Due to the announced raising tariffs on US soybean imports to China, besides other tariff increases that are published in the raging trade war, China's domestic farmers and competing overseas suppliers like Brazil will likely benefit from the situation. According to market insiders, the 25% punitive tariff on American soybeans announced by the Chinese government is likely to hit the countries agriculture hard and is one of the commodities that is going to cause significant economic damage. If the punitive tariffs are going to last for the next couple of years, the soybean exports of the USA to China may witness a decrease by more than 33%, which will generate over USD3 billion in lost revenue each year for the country. Other major soybean exporting countries are more than ready to take the place and increase their influence in the global soybean market. One of the big winners in such a scenario would be Brazil. The country could probably increase its exports to China by more than USD2.5 billion annually. Those increases are possible because China is the world's largest import market for soybeans, which are used mainly as feed for animals. The USA, on the other hand, is the largest exporter. Observers believe that the imposition of tariffs will in the medium-term lead to the Chinese ordering mainly in Brazil, while the released supply from the USA could be absorbed by European countries. According to the research of market intelligence firm CCM, the top 2 trade surpluses from the USA to China are services and agricultural products, as well as vehicle, aircraft and vessels. Of this, soybean plays a key role in the agricultural production. China’s imports of soybean almost doubled from 2010 to 2017, of which the soybean imported from the USA reached about 33% of China’s imports and 62% of the national exports from the USA. That is to say, China has supported the development of the American soybean business for years. In the list for China to impose an increased tariff on the USA, soybean is listed impressively. When the tariff is increased, the soybean imported from the USA will lose competitiveness in the domestic market, which, undoubtedly, will do good to the Chinese domestic soybean business. The Chinese government has already announced its plan for the subsidy policy in order to encourage farmers to plant more of this important commodity. In Jilin Province, soybean processors will be subsidized with RMB300/t. 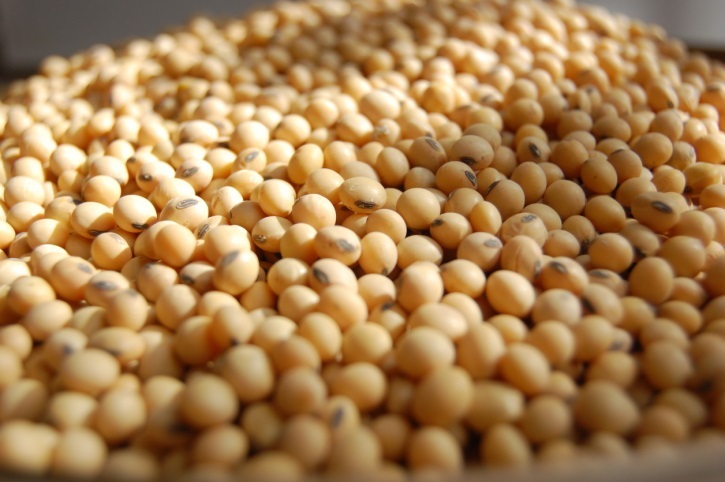 In Heilongjiang Province, the food and side food purpose soybean processing business with a processing capacity of over 5,000 t/a is allowed to apply for a subsidy. What’s more, on March 28, 2018, governmental officials decided to deepen the VAT reform. From May 1, 2018, the VAT on agricultural produce will be reduced from 11% to 10%. The VAT reduction will directly benefit domestic enterprises, especially the soybean business which is currently facing a small depression. The funding saved may be used by the enterprises to promote the sales or to improve the quality of raw material so as to increase the price. This will give an impetus to the sales of soybean and will help increase the price of quality soybean. It is notable that the domestically made soybean is also exported. The VAT reduction will also benefit the exports of soybean, and the export increases will help relieve the sluggish domestic demand. In the trade dispute between the USA and China, the latter has filed a complaint with the World Trade Organization (WTO) against the US punitive tariffs on imports of steel and aluminium. According to WTO statements issued on Tuesday, the complaint alleges that the additional levies of 25% and 10% contradict international trade agreements. With the formal step, China is calling for the WTO arbitration mechanism. Last Thursday, China filed a lawsuit with the WTO over $ 50 billion in US-imposed 25% US tariffs on imports from China. US President Donald Trump accused China of stealing technology and endorsing a seldom-used US law of 1974 dating back to before WTO arbitration. After the WTO complaints, both sides have 60 days to take a position. If they fail to reach an agreement, the WTO Arbitration Panel may be called to make a ruling. Trump is now threatened with further punitive tariffs so that imports from China worth a total of 150 billion USD may be affected. The information for this article comes from CCM, China’s leading market intelligence firm for the fields of agriculture, chemicals, food and feed. You can find more and exclusive insights in China’s agricultural market and the effects on the US-Sino trade war in CCM’s monthly publishes newsletter Seed China E-News. Take part in the discussion by joining our relevant groups on LinkedIn and Facebook.